We recognise the importance that innovations in plant and agricultural technologies play in addressing the immediate and future needs of the global community. Challenges such as food security, water scarcity, pesticide resistance, fossil fuel depletion and demands to meet consumer needs are key considerations driving the development of new innovations in the plant and agricultural biology sector. Protection of the intellectual property (IP) underpinning these new innovations contributes to their success. IP protection also entices further research and development by ensuring that innovators are provided with the incentive, and an expectation of reward, for the development of new technologies that will drive this important sector towards addressing global challenges. Scott has over sixteen years’ experience dealing with intellectual property (IP) matters in life sciences. 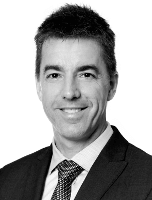 He also has over ten years of academic and commercial research experience in the biotechnology sector, and has extensive experience in the management of IP portfolios, having worked for an Australian biotechnology company for over four years. Scott has worked with local clients in the plant and agricultural sector for a number of years and advises on all aspects of securing and enforcing IP rights. Some of his clients in this sector include the Australian Centre for Plant Functional Genomics Pty Ltd, the University of Adelaide and TPI Enterprises Ltd.
To find out more about IP issues relating to your technology, please contact Scott at scott.whitmore@pof.com.au.